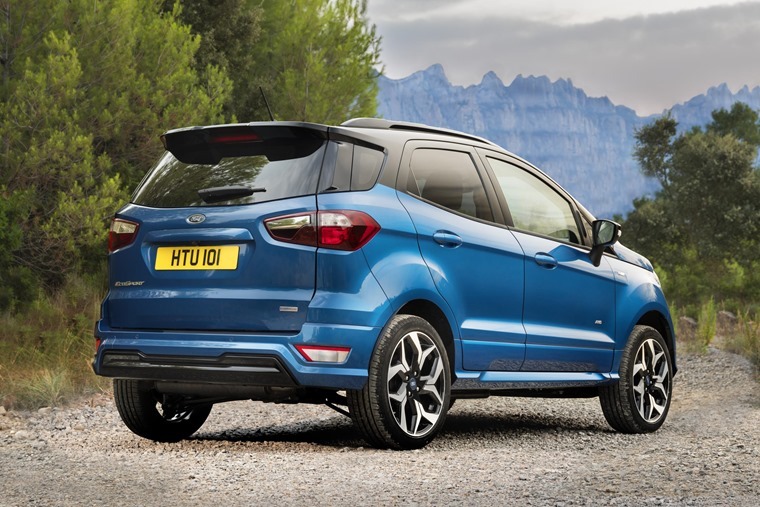 Ford has revealed the new EcoSport compact SUV, promising to deliver enhanced versatility and capability as well as more refined styling and sophisticated technologies when it is released later this year. 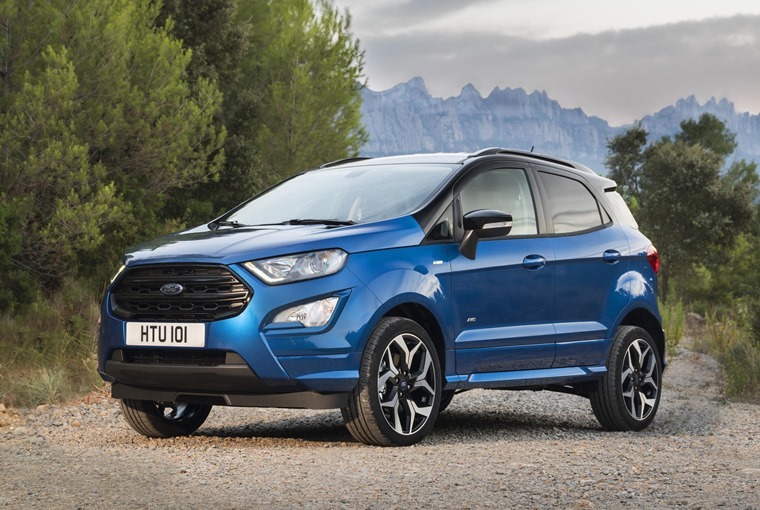 Featuring an overhauled interior as well as rugged and refined exterior styling, the 2018 Ford EcoSport boasts a new front which has ditched the split grille of the outgoing model to bring its styling in-line with the mid-sized Kuga and larger Edge. Changes around the back are much more subtle, with a refreshed rear bumper and restyled taillights, while new 17- and 18-inch alloy wheel designs complement the rugged, sporty character. 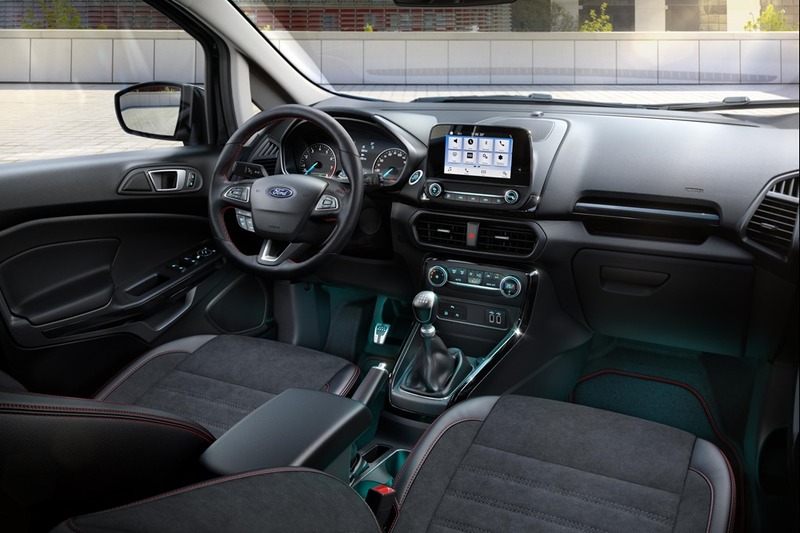 Where things have drastically changed for the new EcoSport is on the inside, with the interior directly lifted from the new Fiesta. That means the steering wheel, gearstick and centre console are all transplanted from Ford’s famed supermini and are a major improvement on the drastically outdated outgoing model. Ford’s sophisticated SYNC 3 communications and entertainment system also finds its way into the SUV and is front and centre in the cabin. Depending on trim, this will be available with either a floating 8-inch colour touchscreen which can be operated with pinch and swipe gestures, a floating 6.5-inch colour touchscreen or a 4.2-inch colour screenin combination with Bluetooth connectivity and two USB inputs. Outside of the infotainment system, Ford has also introduced cruise control with speed limiter functions to the refreshed model. A rear-view camera is also available, alongside automatic headlights and wipers, blind spot detection, automatic climate control and power-folding mirrors. New seats designs are optimised for greater front and rear occupant comfort, and deliver a more upscale feel while the interior also features a host of smart stowage solutions, including a new height adjustable boot floor that can be raised to provide concealed storage, or lowered to increase luggage capacity to 334 litres. 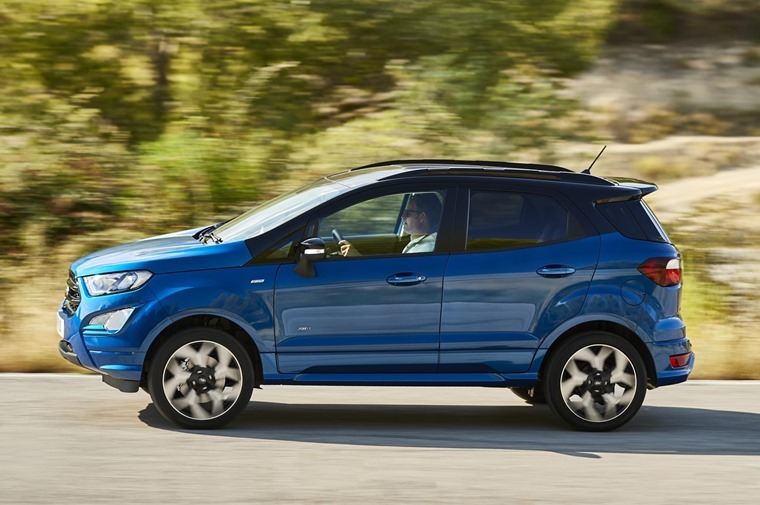 The new Ford EcoSport also offers Ford Intelligent All Wheel Drive technology for the first time to improve traction on- and off-road. The technology is offered in combination with the all-new 1.5-litre Ford EcoBlue diesel engine and a six-speed manual gearbox, delivering 123 bhp and 300 Nm of torque, with 119 g/km CO2 emissions. A 125 PS 1.5-litre EcoBlue diesel model with front-wheel drive and all-new, low-friction six-speed manual gearbox will offer even lower CO2 and greater fuel-efficiency from mid-2018. Alongside the two diesels, Ford’s multi-award winning 1.0-litre EcoBoost petrol engine will be available with 99bhp, 123bhp or 138bhp. 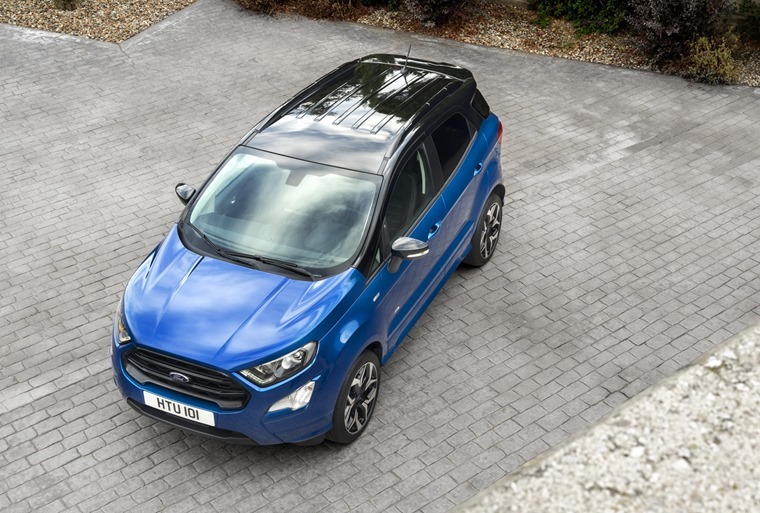 The new EcoSport line-up will also include an ST-Line variant for the first time, delivering unique Ford Performance-inspired bumpers and side skirts, black-finish roof rails and headlight bezels, 17-inch Dark Tarnish alloy wheels, ST-Line badging and extended painted roof and door mirrors as standard. 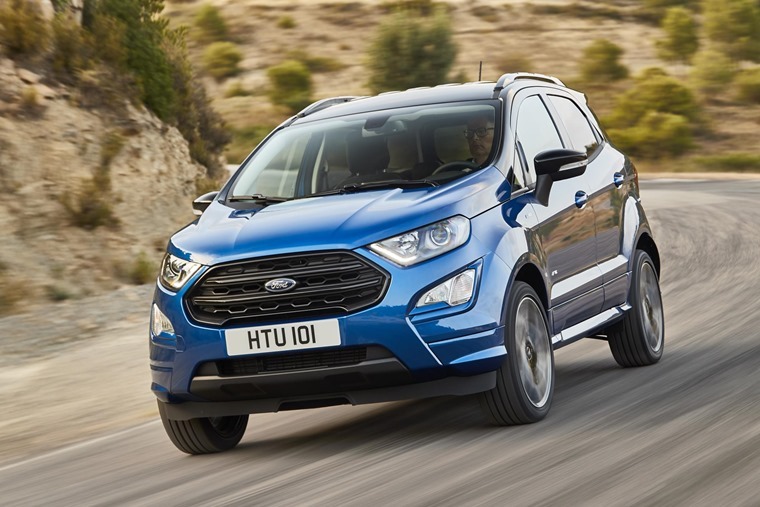 “We’ve enhanced the quality, technology and versatility of the new Ford EcoSport to deliver more of the confidence and control that compact SUV customers want,” said Gary Boes, global B-car vehicle line director, Ford Motor Company.